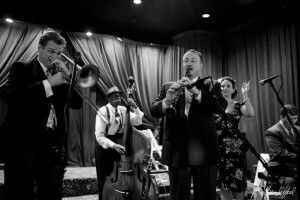 Shell Point Retirement Community’s 2018-2019 Fine and Performing Arts Series welcomes Boilermaker Jazz Band to the stage for a performance of “Benny Goodman: When Swing Was King.” The concert will take place at 7 p.m. on Thursday, March 14 at The Village Church on The Island at Shell Point, 15100 Shell Point Blvd. in Fort Myers. Tickets for this event cost $40 and can be purchased online at www.shellpoint.org/concerts or by phone at 239-454-2067.